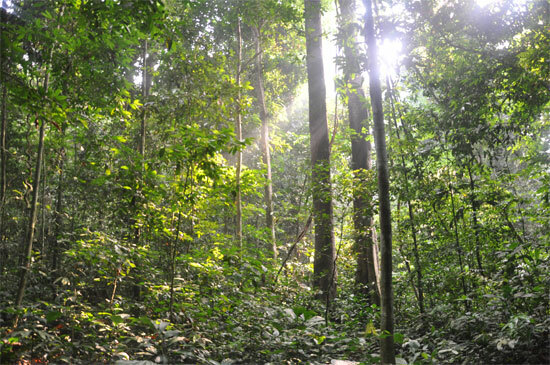 Stay in the park If your prime goal is to be as close to nature as possible, staying at Mutiara Taman Negara Resort is your only real option. You can stay in one of their various bungalow/chalet-style rooms, their dormitory or camp on the periphery of the site. I’d like a room with a jungle view please. The only other option is to stay at one of the nature-spotting hides, but you’ll need to lug in your water, food and bedding and the one hide we visited was downright grotty and looked like it hadn’t been stayed in for a very long time. Stay in Kuala Tahan Kuala Tahan has a range of accommodation options and overall area standards have improved enough for most traveller types to enjoy a hefty dose of Malaysia’s nature without actually roughing it too much. This is even true at the lower end of the market where the accommodation has previously verged on flat out dire. At the bottom end, Rayyan Hostel and Mahseer Chalet are the best of a mediocre selection. Liana sits by Mahseer, but runs a distant third -- try the other two first. All have dorm accommodation around the 20 ringgit mark. 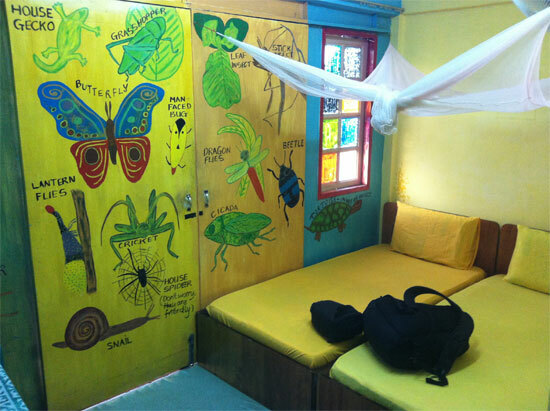 Moving upmarket slightly, cute and colourful Tahan Guest House has clean and cute and very brightly coloured fan-cooled rooms with private squat bathroom for 50 ringgit a night. There’s also a bit of a lawn garden which makes this one of the family-friendly selection of the bunch. Note it is next door to the mosque. Cute and colourful at Tahan Guesthouse. No sheets tho! 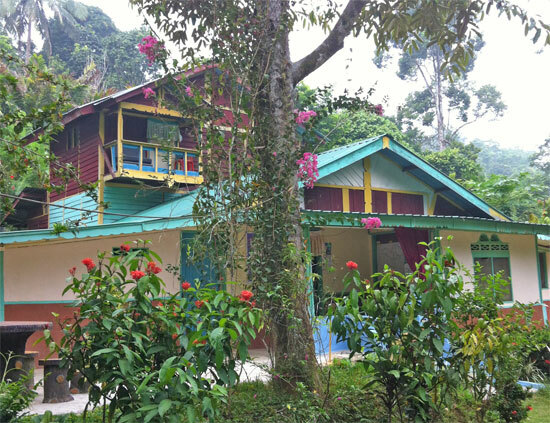 Another 10 minutes’ along the up and down way lies Durian Chalet, which is similarly priced with a sprawling garden feel, but it’s quite a walk into the big smoke of Kuala Tahan. If you want to stay in Kuala Tahan proper, Teresek View Motel is a sterile but functional option with fan rooms for 70 ringgit and air-con starting at 90 ringgit. The rooms are ordinary, but they get extra points for very friendly staff. If you’re prefer to spend more, you could opt for the Xcape Resort, a 10-minute walk back from the river, especially if you fancy a swimming pool. Or Han’s Rainforest Resort, with an onsite spa service in addition to cold beer.